Relevance? 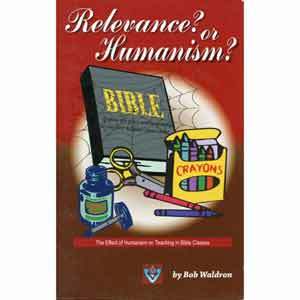 or Humanism? What Are We Teaching Our Bible Classes? This booklet helps us see how humanism has invaded our lives and especially how it has crept into our Bible teaching. It would surprise most Bible teachers to learn how the devil has shrewdly invaded our Bible classrooms. Good, thought-provoking material for all Christians. View Great pens for making visual aids!